Swags are the ultimate style & indulgence. The graceful drape and gather of Swags & Tails creates an opulent look, giving your whole room an ambiance of prestige and elegance. 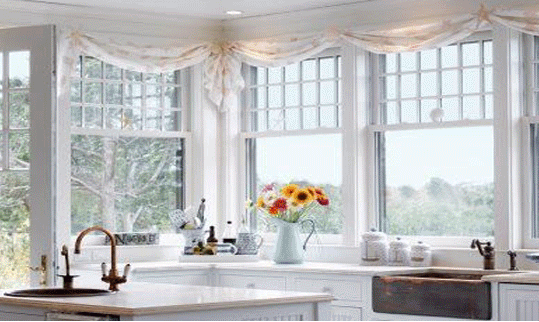 Swags frame the windows and enhance the windows visual proportions. They have the added benefit of reducing the light coming in and concealing the Curtain & Blind headings & hardware underneath. Call us now to make an appointment for a free measure and quote.